Convert MP4 files to MOV online for free now. How to Convert MP4 to MOV Online? 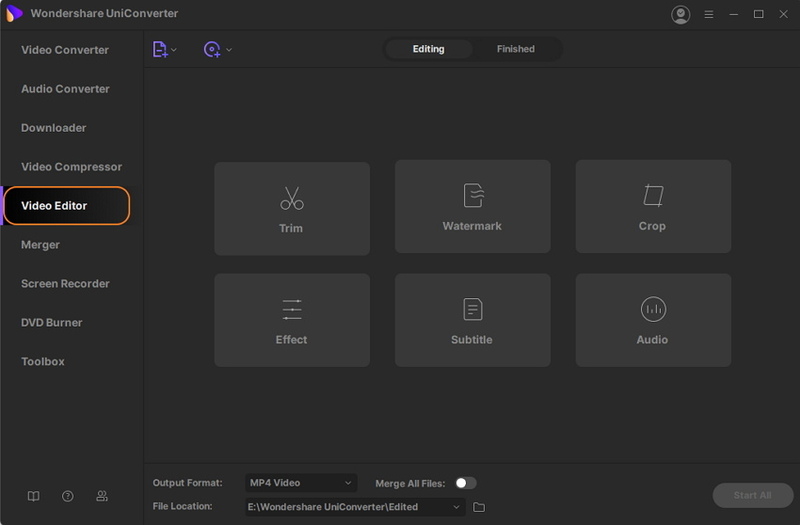 Select MOV as the output format you want to convert MP4 file(s) to. Click Download to save your converted MOV files. MP4 being a popular and compressed file format, is widely used by a number of devices and online sites alike. But if you are an Apple device user, then you know how important it is to be right with the formats for playing your media files smoothly. MOV is the proprietary Apple format that is specifically designed to play on QuickTime Players. So if you want to play your MP4 files on iPad, iPhone, and other Apple devices without any worries, MP4 to MOV conversion is an ideal way. 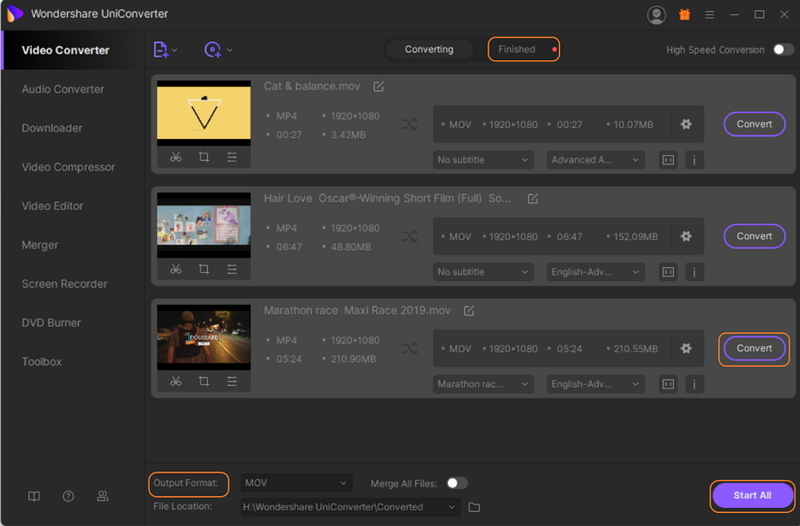 Using professional software like Wondershare UniConverter (Wondershare Video Converter Ultimate) to batch convert MP4 to MOV will help you play your files in good quality. Additionally, you can also convert MOV to MP4 when needed. Following part discusses in details about steps on how to convert MP4 to MOV in batch. Step 1: Download, install and launch Wondeshare Video Converter MP4 to MOV. 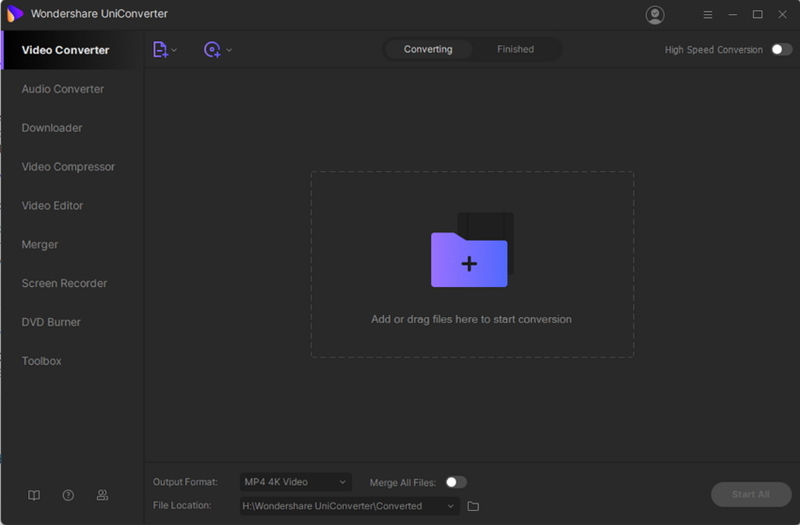 On your PC/Mac, download Wondershare UniConverter (Wondershare Video Converter Ultimate). As you run the downloaded file, follow simple installation steps and then launch the program. Now to change MP4 to MOV, you need to add MP4 files from your PC or directly from device. From the Convert tab, click +Add Files to browse and add MP4 videos from PC. Or click inverted triangle to open drop down menu for adding files from device directly. Step 3: Edit MP4 video (Optional). Before you convert MP4 to MOV, you can also edit and customize videos if needed. The icons of Trim, Crop, and Apply Effect under the added video thumbnail helps in editing videos as needed. You can compress MP4, add subtitles, cut a video into small videos, etc. If no changes are needed, skip this step. Step 4: Select MOV as Output format. Open the drop down menu at Convert all files to: option at the top right corner. A new window will open from where you need to select MOV and desired resolution from the Video Tab. The option of +Create Custom helps to further customize video by changing frame rate, bit rate, resolution and other parameters. Step 5: Convert MP4 to MOV Mac/Windows. Click the Convert All button to initiate MP4 to MOV Mac/Windows conversion process. The converted files are saved at the Output tab which can also be changed as needed. For converting MOV to MP4, follow the same steps and just add MOV as input file, and MP4 as desired output format. Looking for the best solution on how to convert MP4 to MOV on Mac or PC in batch without any quality loss? 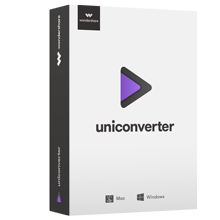 Install Wondershare UniConverter (Wondershare Video Converter Ultimate) to have brilliant quality conversion.